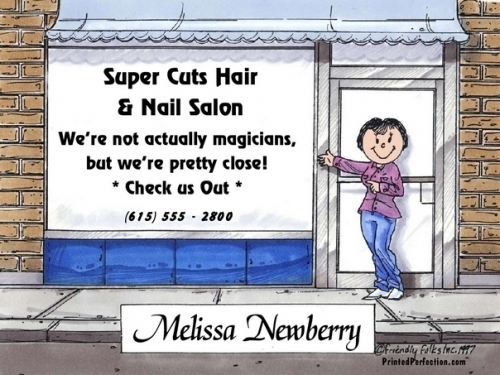 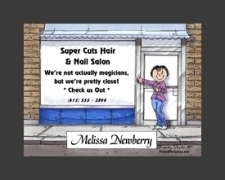 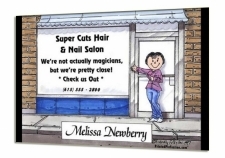 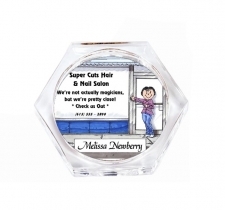 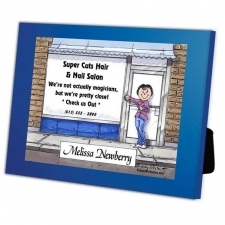 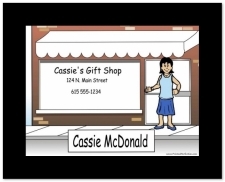 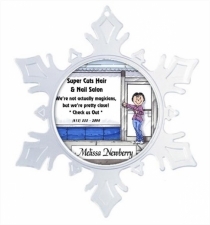 Personalized cartoon caricature for the small business owner, entrepreneur or retail worker. 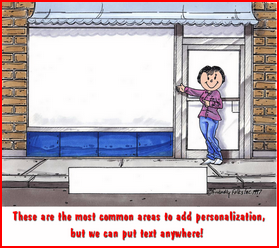 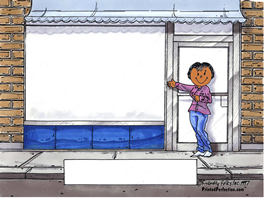 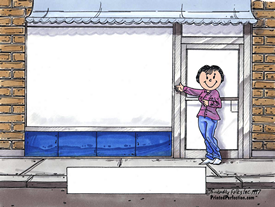 Personalized cartoon caricature in front of a small store. 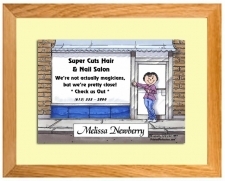 Great for a business owner, whether it's a beauty salon or hardware shop. 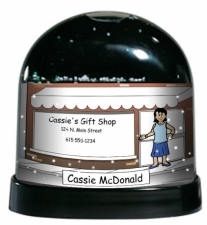 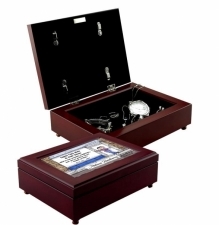 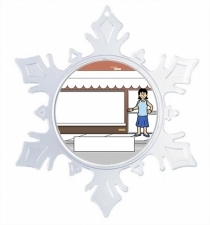 Include the business name, address, store saying, phone number or other information.